When thinking about medieval trade routes, the Silk Road most likely springs to mind. 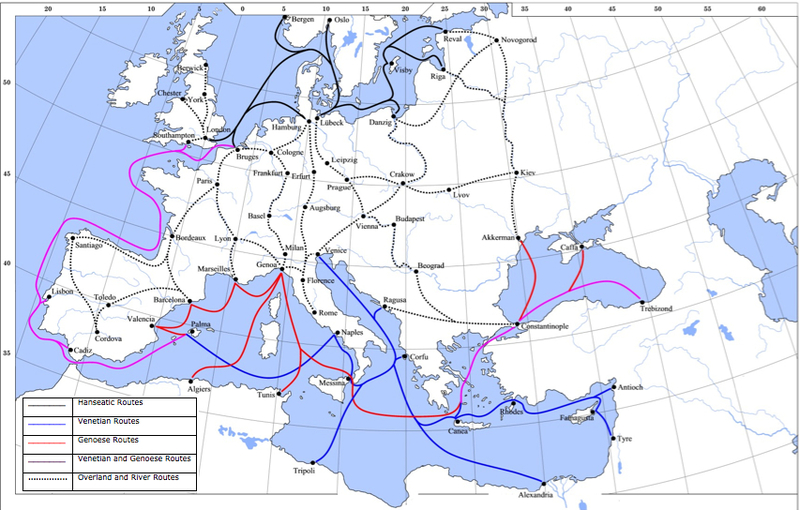 Although, trade did move from East to West, the majority of goods moved along commercial lanes running north to south and back. The great rivers of the Oder, Elbe and Rhine facilitated the movement of large and heavy items destined for the Baltic. Cost of transport, tolls and taxes were relatively speaking regulated or set throughout the Empire. 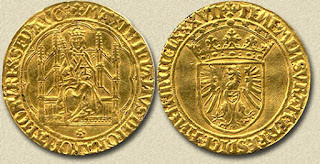 Those kingdoms wanting to avoid the land and river routes did business with the Empire’s commercial rivals of Venice, Genoa, the Hanseatic League. Think of goods such as, salt, wool, spices, incense, gold and silver products crammed into wagons or the holds of ships meandering the long routes taking weeks to reach their final destinations. Over long distances, trade was not without risk from piracy, bandits or war. Even the relative short distances between cities, towns and hamlets also incurred risks, such that merchants often protected their goods with armed escorts. For the average peasant, everyday life in agrarian Europe was not terribly affected by the export/import of goods. 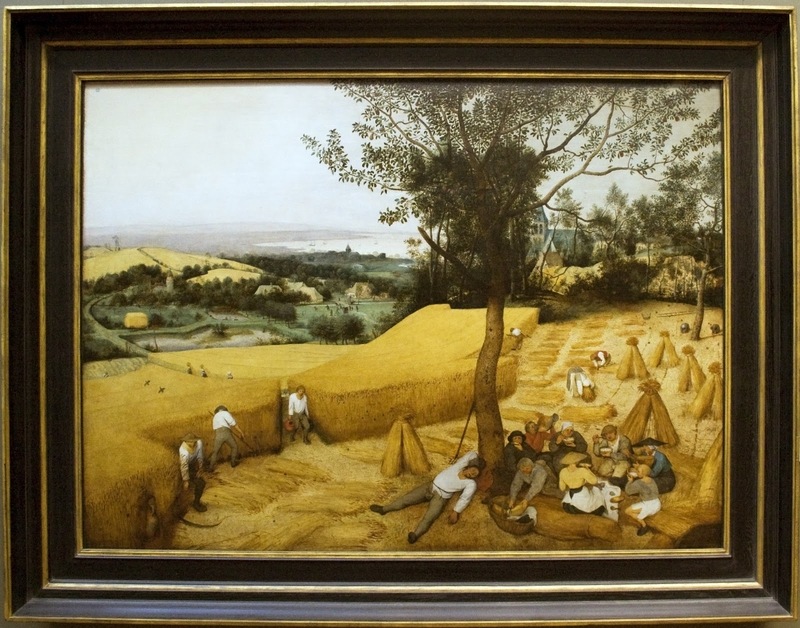 His daily necessities, if not cultivated or raised, were traded with his neighbor or brought to market. 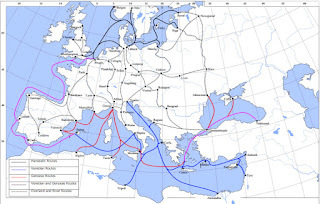 The reader wishing to find an in depth coverage of trade routes, medieval commerce, the mercantile system, check some the links given here. You will have a better understanding of how trade was to become an interlocking fabric to bring kingdoms to war or establish unusual alliances. Application to the DBA campaign system. 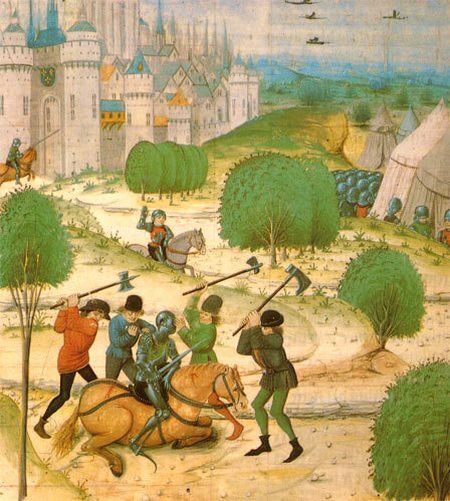 With the DBA 2.2 campaign option, the possession of cities and own capital were a source for revenue or prestige points which during the Winter season could be used to re-build armies. By expanding the campaign year to reflect nine months in place of three seasons, this would create more avenues for revenue. Some ideas I have been exploring. One need not be allied militarily to open commerce. The trade between two adjacent allied kingdoms could generate “prestige points”. Another kingdom can offer passage of goods between two others and charge a toll. 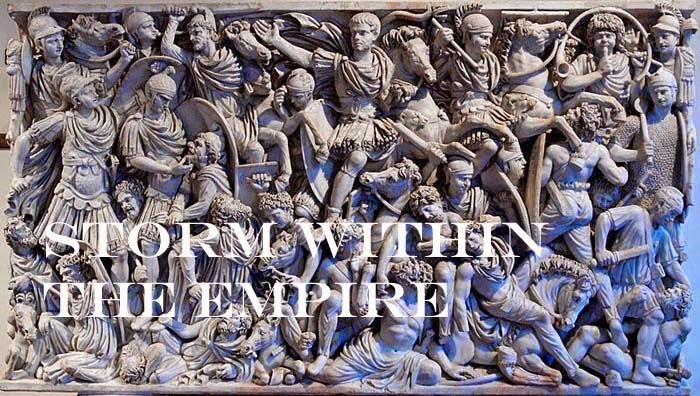 As most commercial activity would take place within the Empire, values would become standard for all within the Empire. Simplicity is the key and adding more substance to the original campaign set, I wish to avoid overly complicated system overloaded with bookkeeping. I see no need to deviate from the Winter phase to add all the pluses and minuses to be expressed as Prestige Points. The next post will summarize the campaign additions to date and outline a test period for the Kingdom of Bavaria, now split in four factions. This is certainly a project that has taken a life of its own, in that I wanted the current DBA campaign system to accommodate a longer period of activity within the year which meant turns became a month and not a season. This opened the door for other features that could give a simple campaign system more content. Some examples from earlier postings; the use of peasantry for possible defense or rebellion, the Guilds supporting a strong militia presence within a kingdom, and farming that will colour to the table top and mean revenues (prestige points) for the kingdom. 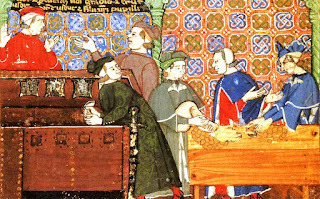 Money lending has a long history, but the medieval period saw the development of features of banking that set the foundation to many aspects of current financial transaction. Kingdoms necessitating the use of arms and could not raise sufficient taxes, were forced to take loans to raise armies. 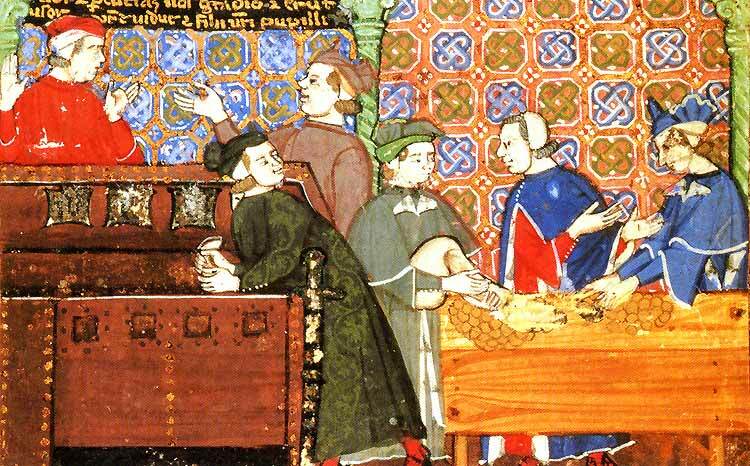 For the lending house this did bring high risks as some bankers discovered when Edward III defaulted on his loans. Those houses that survived such ventures did so with by utilizing a large network of agents with an intimate knowledge of their respective regions. Throughout Europe and Asia Minor, kingdoms minted their own coin. 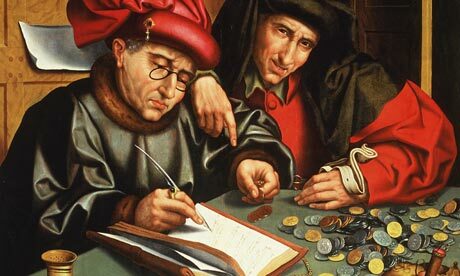 With no regulation as to size and content, Banks or money changers had to set exchange rates in order to accept coinage from other lands. This meant coin could be over or undervalued leading to severe consequences for the money lender. With respect to the Empire, the most common coin are the thaler, florin and mark. 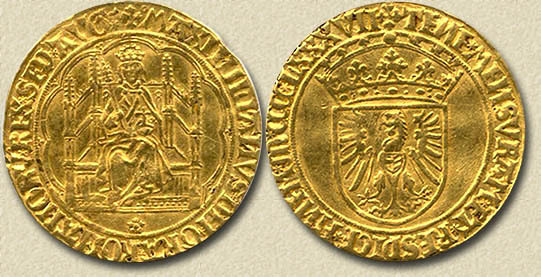 It would take another century before the establishment of an Imperial Minting Ordnance which would set value to diverse silver and gold coinage used within the Empire. The basic system uses prestige points to function as a currency to rebuilding armies. Prestige points are gained through territorial conquest and/or victory in the field. Elimination from the campaign meant total loss of the army or seizure of the player’s capital. A few things I have considered to help ease the waning fortunes of players are the possibility of loans (prestige points) to facilitate the hiring of mercenaries, or to use as bribes to bring a neutral kingdom to your side, or bribes to deter an enemy bent on invasion. To simplify the system, players would announce their need for a loan and roll a die to determine the "commission or insurance" that must be added to the loan. The time nequired to repay the loan could also be worked into the same table. Those players who manage to repay their loans have the satisfaction of having done so, while defaulters move to another stage of the campaign. Historically, unions or marriages were done to solve such problems. For the shrewd player this would mean acquisition of territory without the use of force. I have not worked out how this should be done, but it would certainly offer a resourceful player an interesting option. The defaulter could continue as a vassal, maintaining garrisons and supplying "allied" contingents for the field or start afresh. Adding more kingdoms will certainly prompt me to add more armies. What is there not to like about this. It was about this time of the year many years back, I travelled through the Northern part of Italy. 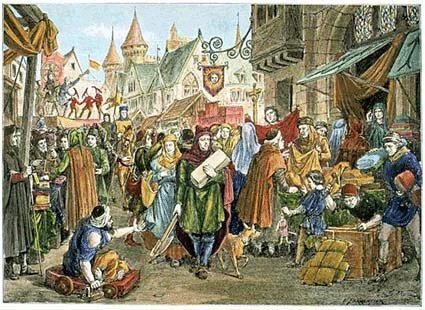 The harvest period was heralded with great pageantry as processions of the city guilds in medieval costume could be seen preceded by a cluster of banners and religious articles, the long columns would wind their way through the narrow streets to gather at the city’s center. Here, the city leaders, both civic and church, would deliver their speeches bringing the festivities to a close while we made haste to the nearest café to pay our own thanks. 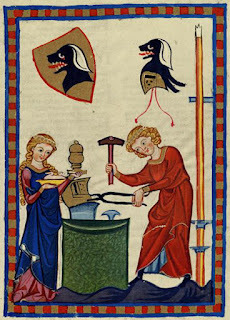 At that time, Late Medieval warfare was farthest from my game interest, yet everywhere I turned I found information about city guilds, shield blazons and banners of the era. All remained unfortunately on the book shelves as I exited the shops. However, enough is etched in memory to serve my current need of painting an Italian Condotta army. 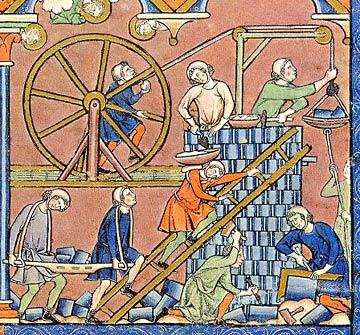 Many of Italy’s walled cities were a crossroad of trade and commerce and through the course of time relied less on the arms of the Feudal lords, but sought protection by establishing their own militia and in emergencies sought the aid of mercenaries. 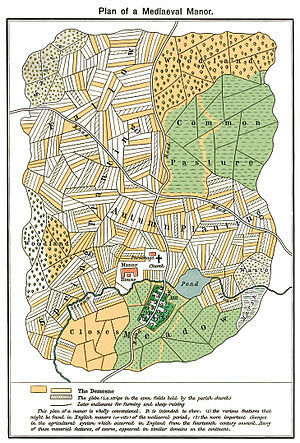 To distribute the responsibility of defense of the city, this was divided into quarters. Each quarter was home to a number of guilds and mercantile houses, each expected to serve or support the establishment of a militia guard. Ideally, a city’s armed force when paraded would therefore show some uniformity representing their quarter and particular guild; an early form of commercial advertisement no doubt. 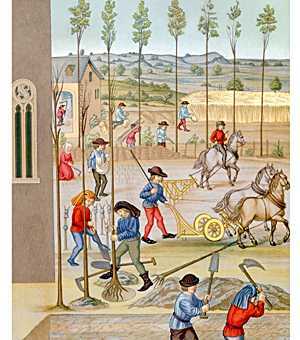 From mid-15th century paintings, clothing became multi-coloured with stripes predominating. The Italian Condotta, which I shall be starting this week depict the Duchy of Trento. Located in the very north of Italy bordering Tyrol, the city of Trento is nestled in the wide valleys of the Adige River. At the start of the 15th century, the region known as the Bishopric of Trento was ceded to the House of Habsburg by the Count of Tyrol. Prior to this, the Republic of Venetia were fighting to gain control of the region. As Trento borders the Southern Alps, 15% of the land can be cultivated. Despite this, Trento became a thoroughfare for commerce between the Holy Roman Empire and the Italian peninsula. The city’s heraldry depicts the Eagle of St. Wenceslas, black on a white background. Other depictions show small red flames about the Eagle, which could be a poor representation of a sun or an aura. Before ceding Trento to the House of Habsburg, blazons also depicted the red Eagle of Tyrol quartered with the black Eagle on similar background. The black Eagle is certainly Germanic and use of black, white and red as theme colours for the infantry will prove challenging. The mounted arm will have a variety of colour depicting the various famiglia, condottieri and feudal elmeti.